Get your documents certified by the Foreign Commonwealth Office (FCO). It generally takes the FCO 10-14 working days to process and deliver the documents to our office. The documents will be posted onto you via Royal Mail Recorded Delivery. Indicated timescale does not include delivery to address. It generally takes the FCO 3-5 working days to process and deliver the documents to our office. The documents will be posted onto you via Royal Mail Recorded Delivery. Indicated timescale does not include delivery to address. The premium service is perfect for customers who require expedited delivery. The document will reach our office within 3-5 working days and will be delivered to you via Express Courier upon receipt. Need a Certificate of Good Standing Apostille too? Our bundle services are an ideal and cost effective solution if you need a Certificate of Good Standing Apostille as well as apostilled documents. Why would I get my documents certified? Under the 1961 Hague Convention, documents which have been certified by a solicitor and then certified with a conformant apostille are accepted for legal and international use in all the nations that have signed the Hague Convention. If you wish additional documents to be included in the apostille other than the standard list of documents, please advise by email to [email protected] within 24 hours of purchase. If you have signed documents you wish to include in the apostille, these documents must be supplied. 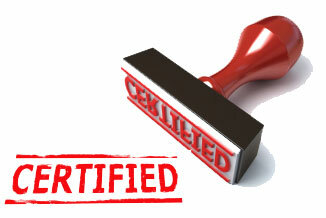 How many documents can I get certified at any one time? There is no limit on the amount of documents that can be certified at any one time- however the binder for certification can only hold 10 pages so any amount of documents in that 10 page allocation. Anything over that will require a second apostille service. Can you send my completed documents to someone else? Yes. We can send your document to an individual, bank or business. Simply give us your instructions in writing and we will send the documents to that address and also confirm that your request has been carried out. You will place your order online and we will send you an email confirming your order and requesting the country/countries the apostille will be used in. We will ask you to confirm your delivery address. At this point, you can inform us of where you would like the documents sent. Once we have this information, the documents will be produced and we will get them certified, apostilled and dispatched to you by special delivery. If you require these documents to be delivered urgently, we highly recommend buying the Apostilled Documents Premium Service which includes express document processing by the FCO (3-5 working days) and expedited delivery using an Express courier service - perfect for our international customers. There are currently 105 parties of the 1961 Hague Convention Abolishing the Requirement for Legalisation for Foreign Public Documents who will recognise an apostille certificate. For countries who are not members, we are unable to advise whether an apostille certificate will be accepted.